What happens when everything you know is about to be taken away? What can you do when you have to leave the only place you call home? Where do you go when you get tired of hiding, but too scared to run? What do you do when you’re not sure if you’re a victim or a criminal? These are just some of the barriers that young undocumented immigrants must confront. 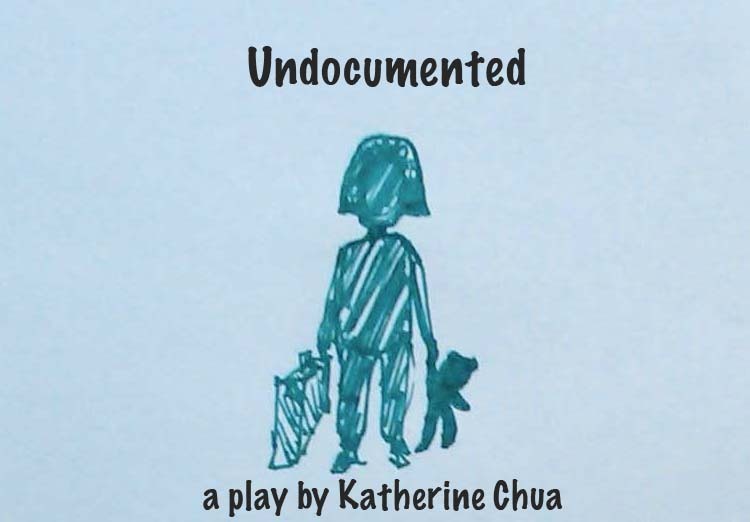 In the multimedia play Undocumented by Katherine Chua, she highlights the inner turmoil of a girl called Frida, who has been found out by the authorities as being in the country illegally. Although she has been living in the U.S. since the age of 8 and is now 25, she will be taken from all she’s ever known and deported “home” to her native country. The only light is the possibility of having the DREAM Act bill get passed by legislation. But before Frida can find solace and trust in this bill being past she must find solace, trust and forgiveness in those around her and most importantly herself. As I sit here right now, I am deeply upset with the way the the United States views undocumented persons. I am from Des Moines, Iowa, but currently I am sitting in Tucson, Arizona at a humanitarian organization called BorderLinks. BorderLinks has taught me and my entire church group about the border situation at hand, the brutality of Border Patrol, and what it must take to have someone throw everything away. I learned about two 15 year old boys who came from Honduras, all the way through Mexico, and then into the USA. They were deported and sent back to Nogales, Sonora, Mexico. The story touched my heart and this is not the only story like that. I want to help. I want to use my voice to help others. This play, this amazing play will help raise awareness for a very unaware community. There is a competition called IHSSA (Iowa High School Speech Association), in which people put on shows and other types of productions and are judged by a group of theatre professionals. Last year we did a production called “dont u luv me”, a play about a young couple who thought that they had it all but the boy felt threatened and he started to be the girl. We went to a state-wide level with this, making over half of the audience cry with each performance. With your spectacular production, I feel that we could create an awareness of undocumented persons that Iowa has never seen before. Please contact me, as I am desperate.